Many of us do, often when socializing with friends and family. 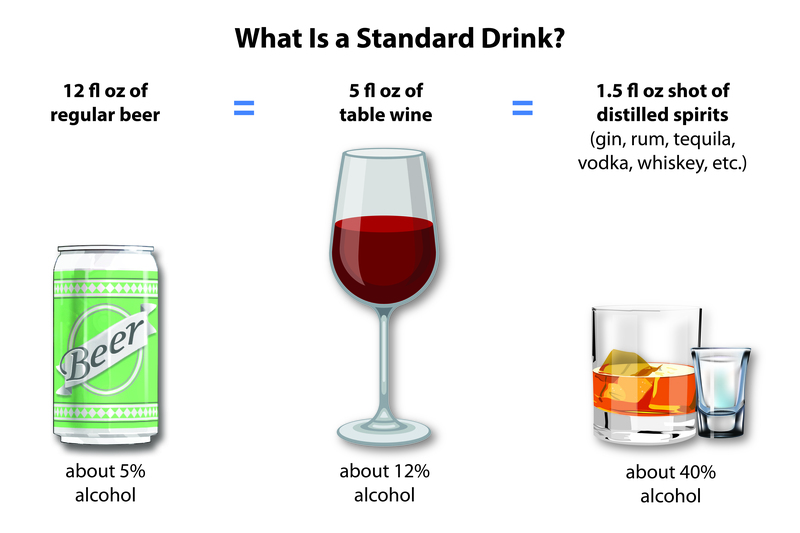 Many people are surprised to learn what counts as a “standard” drink. In the United States, a standard drink is defined as any beverage containing 0.6 fluid ounces or 14 grams of pure alcohol (also known as an alcoholic drink-equivalent). Although the drinks pictured here are different sizes, each contains approximately the same amount of alcohol and counts as one U.S. standard drink or one alcoholic drink-equivalent. How strong is your mixed drink? Sometimes we do things out of habit and we don't really stop to think about it. This made me think about my choices. It emphasized that drinking is not bad in and of itself–it's how much you're doing it and how it's affecting your life. I thought the strategies for cutting down were really good. It gives you tools to help yourself. These are comments from people who reviewed the Rethinking Drinking booklet in focus testing. We welcome your comments on the booklet and this Web site as well. Send us an email.